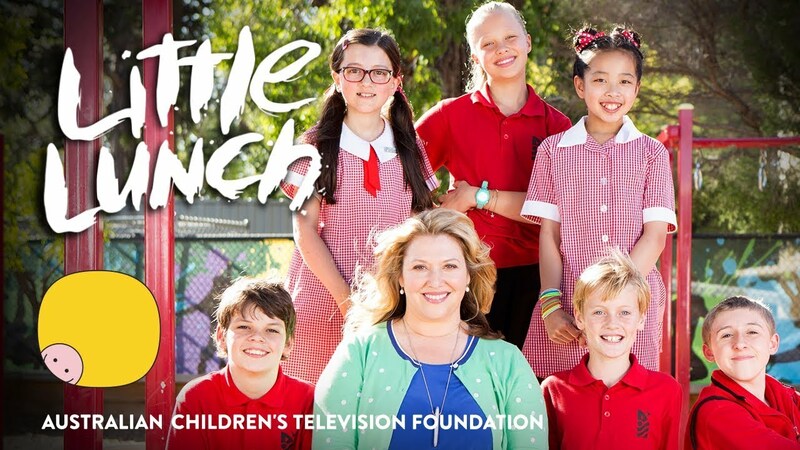 Little Lunch is a comedy series, where every episode takes place during that highly-anticipated school day break – morning snack time! Each self-contained episode revolves around, and is told by, six diverse and distinctly identifiable children. Little Lunch tackles the big issues in the playground. Who gets to go on the monkey bars? Who gets to join whose club? Who gets Mrs Gonsha off the top of the slide pole, when she gets stuck? Little Lunch tells stories that may seem small to adults, but loom large for kids. Little Lunch is an eminently relatable, universal comedy with heart for 6-12 year-olds. When Rory is punished and sent to the Principal’s office, the other kids surprisingly feel sorry for him and try to cheer him up. While Atticus’ parents are away, his Ya-Ya (grandmother) looks after him and sends disgusting lunches with him to school. Tamara refuses to share the monkey bars but, for once, Melanie won’t give in and get off. After Debra-Jo loses her glasses the children take her to the Lost and Found box to look for them, where they discover all their long-lost own belongings. Tamara unexpectedly wants to play kiss chasey but the only person she want to chase and kiss is Battie. Melanie thinks she discovers a possum’s head in the sand pit, and refuses to believe that it’s actually Rory’s craft project made out of a pine-cone and toilet paper. Bored during a rainy little lunch, Atticus starts a band and makes Battie reluctantly join too. Tamara is excited about doing the beep test fitness assessment, but after she sprains her ankle and can’t join in, she decides to be Debra-Jo’s beep test coach instead. Atticus holds a joke telling competition and Melanie, overcome by shyness, is terrified to tell a joke in front of everyone. Debra-Jo thinks that the old climbing tree is dangerous and should be chopped down, but the other kids think it should stay. They each embark on a campaign to get their way. After Tamara accuses Melanie of not washing her hands and “germblocks” her, Atticus and Debra-Jo investigate what really happened. Battie’s grandfather is the guest of honour at Grandparents Day but Battie is too scared to tell Mrs Gonsha that he is in hospital and won’t be able to come. The children face the difficult task of finding the right partner to be their walking buddy for the walk-a-thon. During a very windy little lunch, Mrs Gonsha insists the class comes inside and does yoga, much to Debra-Jo’s horror. After the kids think they see a health van in the playground, Debra-Jo becomes anxious that she has headlice. When Rory announces that he wants to be the Prime-Minister, Mrs Gonsha suggests they have their own election and that everyone run a campaign. When Max and Elsa, the weird twins, suddenly leave class without a note, a ridiculous rumour chain begins about what happened to them. Atticus decides to start a secret club with Rory, but after Rory, who is terrible at keeping secrets, invites everyone else to join, Atticus’ idea is ruined. Rory is bewildered and confused when he finds out a grade six girl likes him and Debra-Jo can’t understand why she feels so cross about it.